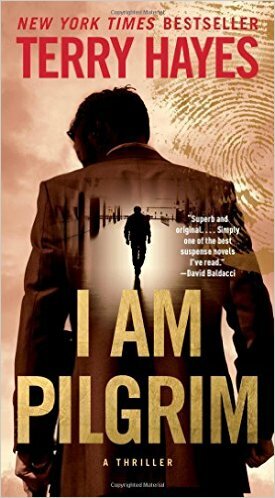 I am Pilgrim is an interesting addition to the spy thriller genre, in that it surprises often and shifts perceptions in what readers might expect from this kind of novel. Yes, there is action, intrigue, mystery and a global, political savviness staple to the genre. But there are also numerous backstories and subplots that bring greater depth and interest to the characters, and the mystery as a whole. Essentially I Am Pilgrim is the ‘memoirs’ of an American spy from a wealthy upbringing, code named Pilgrim. Officially he does not exist and is employed by an agency no one has heard of. Through the course of 900 plus pages, he runs two missions, which while unconnected, certain impact each other in their twists and turns. The first mission is to apprehend a Middle Eastern terrorist, known only as the Saracen, who is operating alone with grand plans to destroy the United States. Unhinged as a child by witnessing his father’s brutal, public beheading in Saudi Arabia, the Saracen first turns to fanaticism in the battlefields of Afghanistan before training as a medical doctor in the Middle East so he can develop a biological weapon of mass destruction. This is certainly a novel about the complexities and dualities of fanaticism and insurgent behaviour on the Islamic world, and the hatred focus not only at the United States, but the questionable antics of Saudi Arabia. With today’s mass surveillance and global intelligence sharing networks, which can tap into any telephone conversation or email anywhere in the world, the Saracen is a terrorist who isn’t on anyone’s radar. He’s operating alone with an audacious plan. This makes him scary in the way other villains are not. There are no paths through the chain of his nefarious organisation to reach him, because they don’t exist. The secondary plot is an almost perfect textbook murder linked, to the 9/11 terrorist attacks on the New York World Trade Centre and the petty lifestyles of the wealthy Americans in Europe. While not page turning like the main plot, this subplot is interesting in that the murderer studied Pilgrim’s definitive book on forensic criminal investigation, which Pilgrim published under a false name. But Pilgrim has many tricks up his sleeves, which makes his interactions and exposure of the murderer a joy to read. The story shifts from Russia to the New York, London, France, Saudi Arabia, Turkey and Thailand, and many other places in between, so it is never short on international intrigue. The author, Terry Hayes, is Australian, and while he has no qualms about applying the Matthew Reilly technique of writing American protagonists to appeal to the American market, he has some nice nods to his home country, with an Aussie doctor in Turkey and an Aussie special forces group shooting up the enemy in Afghanistan. The book is long, and drags in a few places, but for the most part a thoroughly enjoyable read. There are plans for a movie directed by Matthew Vaughn, which could work really well or fail dismally depending on who plays Pilgrim and the Saracen. My vote goes for Leonardo DiCaprio and Ashraf Barhom respectively. Hopefully Terry Hayes writes more interesting tales in this series with the next book, The Year of the Locust, out in 2017.